Within this website, you will get updated information on the athletic department which includes coach contacts, game and/or practice schedules, team information, cancellations, awards, historical data, rules and regulations, and more! Lake Shore will enforce a no re-entry policy to all Varsity Football and all Boys' Basketball games. This means if you leave the building or stadium for any reason, you will not be able to return. Please make sure you have all of your personal belongings with you when you enter and before you leave. Passes are on sale in the Athletic Office priced at $30/adult and $25/student. These passes are good for all home, regular-season Athletic Events. Anyone over 60 or in 5th grade or younger are free! Adults are $5 per person and students with a current school ID are $2 per person. Good for home contests ONLY. Good for regular season contests. Pass not good for MHSAA tournaments. All school rules must be followed. Thank you to everyone who joined us at Shorian Taste Fest. In tradition, embroidered chef hats are awarded in many categories including Best Appetizer, Best Presentation, and Outstanding Service. The food, entertainment, and generosity from businesses was appreciated. Watch this feature on Fox 2 News here. It was a win shared by everyone during Shorian Week, a week dedicated to St. Baldrick’s and all kids battling cancer. 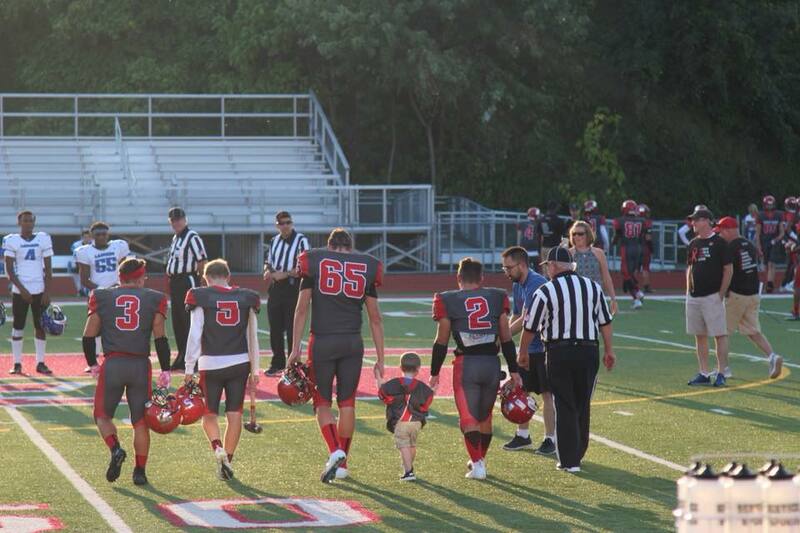 Honorary captain for Friday’s football game, Matthew Nyenhuis, is just 2 years old and battling Acute Myeloid Leukemia. He has gone through numerous treatments since diagnosis this past November. A Shorian is brave, strong, and kind; We knew that by outfitting Matthew with our jersey, he may feel those traits both inside and outside. Congratulations to our entire football team for securing another victory with a final score of 58-14. Lake Shore High School Cheerleaders host their 1st annual Youth Cheerleading Clinic for K-7th grade students. 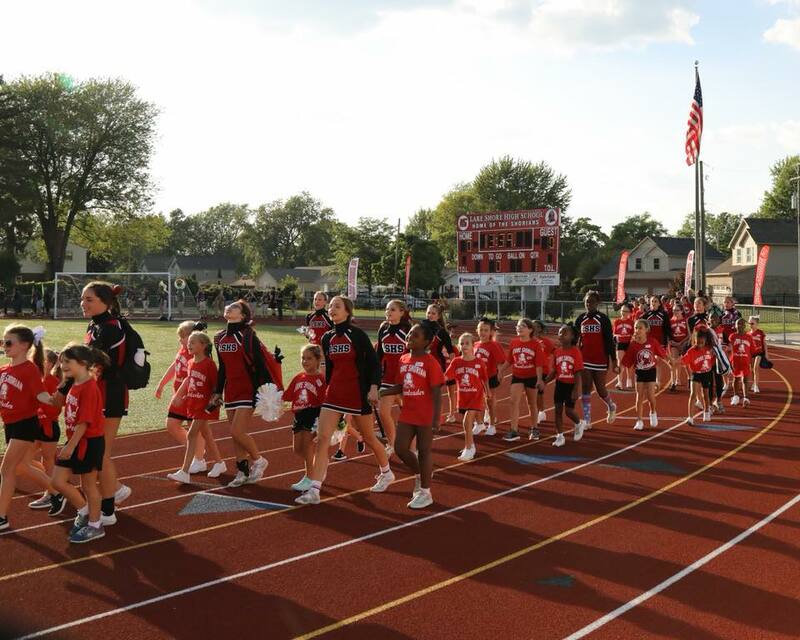 Over 57 participants practiced stunts and chants with our Champion Cheer team in preparation for their epic performance at our overtime home football game against Port Huron North. Over 100 3rd-8th grade students registered for our 1st Annual Derrick Walton Basketball Camp. During this 3-day camp, featuring boys and girls, newcomers and seasoned players, all participants are trained to develop their basketball skills with a variety of different drills. Caden Skelton, 5th grade student at Lake Orion Community Schools, wore his special ordered Walton shirt proud. The 53 minute drive from Lake Orion to the Shores would not stop him, or his parents, from camp attendance. It is a beautiful thing to see Lake Shore basketball players coach and mentor younger, aspiring basketball players alongside Miami Heat’s Derrick Walton Jr.
Get unlimited access to watch all your Shorian events this year on the NFHS Network. We've invested in new technology that will bring you every game from the gym and stadium LIVE online so that fans of Lake Shore High School will never miss a game! Subscribe for unlimited access by visiting the NFHS Network. Subscriptions start at just $9.95 a month. We celebrate our student-athletes with Athlete of the Week recognition. Thank you, Stewart Fine Portraiture and Gallery, for taking the professional team pictures.